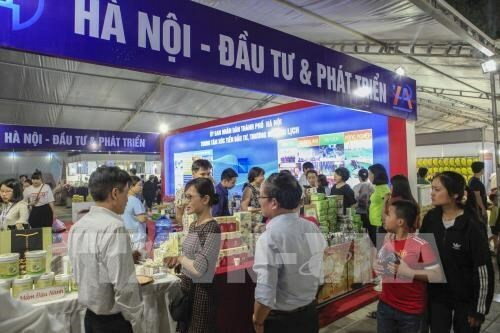 Dien Bien (VNA) – More than 100 organisations and businesses of Vietnam, China, Laos and Thailand have joined the International Trade Fair of the Northwest Region 2019 that was opened in Dien Bien Phu city in the northwestern province of Dien Bien on March 30. The event, which will run until April 5, has 280 booths introducing goods and services of different localities of Vietnam and foreign firms, along with a trading area and a food court. On display at the fair are manufacturing-mechanical products, machines, industrial and agricultural equipment, office equipment, and handicrafts. Le Van Quy, Vice Chairman of the People’s Committee of Dien Bien province, said that the trade fair is part of the national trade promotion programme which has been approved by the Ministry of Industry and Trade. The regional-level event is of important economic and political significance, aiming to promote the images and potential for socio-economic, trade, service, culture and tourism development of Dien Bien and other Vietnamese and foreign localities, he said. Quy held that this is a good chance for Vietnamese firms to expand partnerships with their counterparts both at home and from northern areas of Laos and Thailand, and China’s Yunnan province, thus increasing exports.